“For me Kent Green Hop Beer is a fantastic celebration of the best, freshest Kent hops, forging links between brewers, farmers and local people by developing an awareness and appreciation of beer, the brewing process and the county’s hop farming industry – and I feel privileged to be a part of it. “The best things about brewing a Green Hop beer in East Kent are the 7am visit to Humphrey’s hop gardens to gather kilos of freshly picked Goldings by hand and being able to immerse yourself in that fresh green aroma as you speed them back to the brewery in time for the end of the boil. STOP PRESS…. 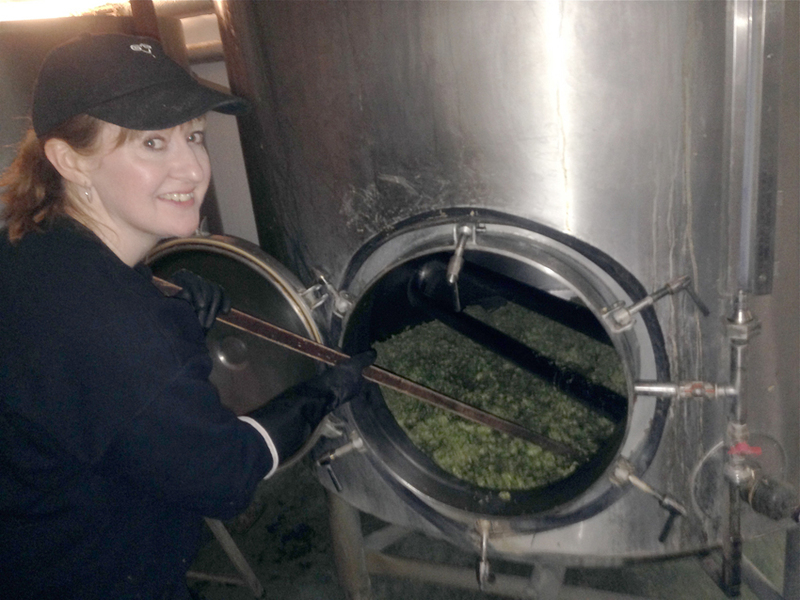 Although, as Sue says above, Gadds’ usually uses East Kent Goldings for its green hop beer at time of brewing they had not been harvested so this year’s brew is hopped with Northdown. Making it an even rarer brew than usual! We’ll meet another Kent Green Hop brewer very soon… We’re also working on this year’s Where to drink section and the all important beer list. Sign up for our news updates so you don’t miss any announcements – see subscribe box at the top of the right hand side of the page.